Home Based – Home Maintenance Business – Great Cash Flow & Priced At Only 1.8X #1614 | Front Range Business, Inc. The company was founded in January 1977. It took about five years to strongly establish the business, allowing the owner to work primarily Monday through Friday, 7:30 am to 5:30 pm. In recent years, the owner has stepped away from the field work which has been completed by employee technicians while he concentrated on other business activities. Today, they have over 1,500 active residential customers in the greater Boulder County area serving several affluent communities. 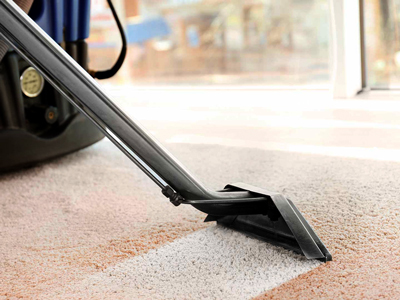 The company enjoys the reputation of being the top-notch carpet cleaning service in the area based on its recognition on the web and through traditional sources. A search of their Google reviews reveals over 100 entries with an average score of 4.9 out of 5 stars. A local newspaper with Boulder County wide circulation polls their readers annually. The business has been voted the “Best of The Best Carpet Cleaner” for each of the 14 years the paper’s community voting has been conducted. This is an excellent opportunity for people who want to work for themselves in a great home-based business with excellent cash flow. A big plus is the price which is only 1.8 times cash flow. Represented by Phil Loughman. Tell me more about this business.